Stay focused on what you do best. We’ll put your marketing on autopilot and use technology to manage customer relationships. How Can We Help Electricians And Electrical Contractors With Marketing? Contact us to learn more about our marketing technology for electricians. Automatically trigger a direct mail piece thanking your customer after every job. Many times, clients procrastinate or forget to perform routine maintenance. Through a marketing automation program you are able to save each individual client money and heartache while increasing your business’ profit margins and workflow. Let’s face it, you are too busy working to become a salesperson. Unfortunately, a percentage of your prospective clients will not buy from you after a quotation. Use marketing automation to find out why and win a percentage of those jobs back with a low pressure, risk free approach that uses marketing automation. Someone calls you for service. You couldn’t meet their deadlines because of prior commitments, or maybe they didn’t call you out for another reason. Marketing automation will help you uncover the reason for lost business and help you recapture future business from these missed opportunities. Ever wonder what your new clients or customers think about your electrical services? If you’ve ever been to a restaurant and the manager walks around asking how things were, 99% of people will say “it was great”. In reality, they might be disappointed. Most people won’t express their true opinion in person; however, they’re more comfortable writing it on the feedback card and dropping it in the box. In today’s digital era, sending an electronic survey is equivalent to dropping the feedback form in the box. Surveys are an invaluable way to tap into your clients mind and get their feedback. You’ll learn from it, adapt, and ultimately be stronger at customer service. Currently going door to door or spending thousands of dollars a year on profit eating programs like Groupon and ValPak? It’s not all about “lead generation”. Cut back your spend on lead generation and re-invest in your customers. Word of mouth is the most powerful form of marketing. We don’t sell word of mouth marketing, but we can help you create it. Referrals are your best bet in building a loyal customer base that is willing to pay a fair price for your service. The problem that many electricians have is that it’s hard to capture referrals, and remain top of mind when an opportunity presents itself. Marketing automation gives you a way to stay in front of potential customers; and to react when they need your service. Have you told your customers thank you lately? 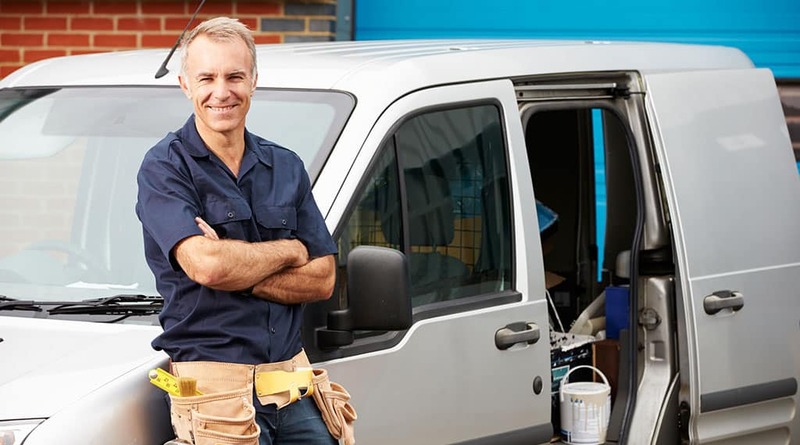 Most electricians will perform a service, leave a business card and move on to the next service call…leaving a valuable customer in the rear view mirror. The truth is, the lifetime value of that customer is worth 10x the initial service call. Electricians that manage their business this way are leaving money on the table. Money from upsells, repeat services, seasonal services, referrals and more. Treat your customers well and turn them into promoters of your business. Lead Liaison enables electricians to send any direct mail piece, emails, text messages and over 3,000 items to show appreciation for your customers. Send out a mug, a t-shirt, a box of candies…anything, your customers will appreciate it. That sentiment will go a long way with them. Guess who they’ll think about when a neighbor asks to call or the next time a socket goes bad? Automate the process of sending your clients a holiday card. A few days before the new year send out a happy new year email or postcard automatically. Remind people before Memorial Day, when they’re out of work, that the first 10 people to schedule an appointment receive a discount and it’s a great day to get service while they’re at home! Customer loyalty and brand recognition are hard to achieve. Let’s face it, people are rarely happy to call their electrician because it represents a big bill that they were not planning on in most cases. Even worse, some customers cannot fully appreciate how much work and expertise goes into certain repairs. Even if they do, they may not understand the implications of not fixing a problem immediately. Chances are you’re spending good money on local SEO. Getting ranked on certain keywords is only half the battle. To boost rankings, you’ve got to feed search engines like Google, Yahoo! and Bing with good, unique content in your industry. Becoming a local market thought leader will help your business soar to the top of the rankings. Lead Liaison provides a complete end-to-end project management interface for creating leadership content in the electrical industry. Request blog posts, Tweets and more and easily publish the content to your website or through social media. Most people have smart phones these days and texting is only getter more popular. Combine text messaging with your follow ups, service call reminders and more to build up your following and reduce issues with service calls. Be a more effective communicator and step into the digital era with automated text messaging as part of your marketing campaigns. A key rule of thumb in marketing is go where your customers are. Most consumers spend time on social networks, such as Facebook, LinkedIn and Twitter. If your electric company is not participating in social media or looking to make social media engagement easier, we can help. Lead Liaison provides the facilities to post to LinkedIn, Facebook and Twitter with ease. Use social media accounts from all your staff and your company’s profile to make participation in social media a snap. Most electricians use Mailchimp or Constant Contact to send out email blasts to their entire database. Do you like to get “blasted”? That sounds like it hurts. It’s also not personal at all. It’s blanket marketing that is not individualized and probably not relevant to your audience. Lead Liaison captures demographics and 1,000’s of data points from social networks about your customer base along with rich behavioral information as customers and prospects view your website. Our drag and drop interface lets you build lists or send targeted marketing to prospects and clients with ease. Narrow down your audience by any number of social, behavioral and demographic criteria to start creating dialogue with them in a 1:1 manner that’s highly relevant to what they care about.